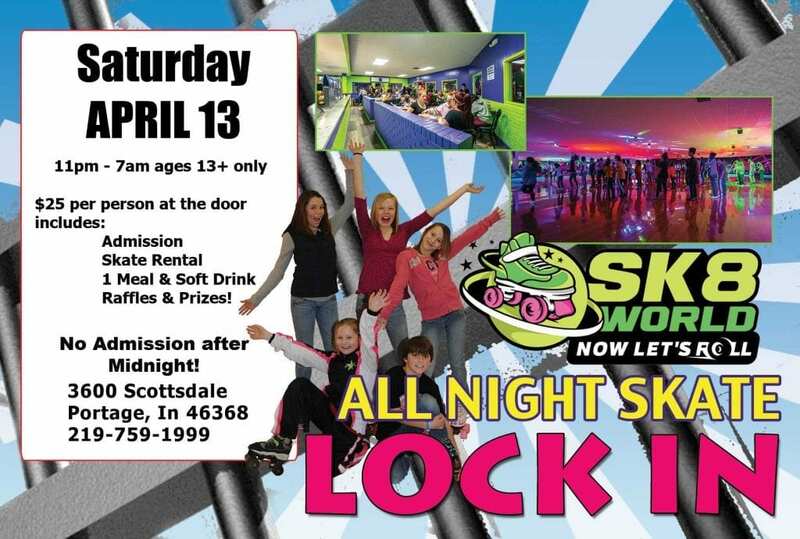 Our MOST popular event to date is the All Night Lock In at Sk8world in Portage Indiana. So much fun is had by all our skaters 13+ (younger siblings have to be accompanied by a parent or older sibling). Games, prizes, great food and fun goes all night long. Don’t expect to sleep!! Be sure to get there before Midnight because after Midnight there are NO Admissions. Just show up, the cost is $25 at the door per person. This includes Admission, skate rental, 1 meal and soft drink, raffles and prizes!